There may be a number of cleaning detergents available in the market for carpet and upholstery cleaning, but the question is: are they really eco-friendly? Are they safe for your kids and pets, and are they based on food grade ingredients? This is important when one considers the changing Health and Safety standards. To prolong your carpet life, it should be cleaned every 6-12 months. Eco friendly carpet cleaning is used to remove allergens, microscopic pollutants and bacteria. Moreover, carpet salinization and deodorizer treatments improve indoor air quality substantially. Companies working in Doncaster area may be the kind of solution that you are looking for. First of all it does not cost you much, and that is important. There is a new kind of solution to carpet cleaning which is manufactured from different plant products making it eco-friendly. 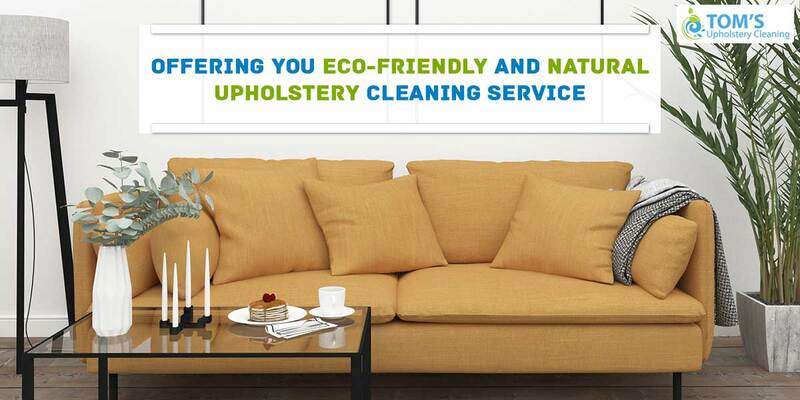 Eco-friendly Upholstery cleaning in Doncaster is woolsafe, detergent free and biodegradable. These can be easily rinsed in cold water and leaves reduced carbon footprint, which is an added value. Plus, the service provider is available as per your timings, which is important. Most such service providers use clean-in-use electricity, and packaging and other consumables are recycled.